They say if you really want to know a man's character, give him power. If that is true, then the character of Jamal Crawford is power in its purest form. There must be a thousand articles one could find that would share his accolades as a high school basketball phenom at the crown jewel of the South End, Rainier Beach High School, not to mention his college journey at the University of Michigan and his nearly 20 years in the NBA. And those would all be worthy reads, but I’d like to shed light on Jamal Crawford the man. While his profession has taken him all over the world, Jamal’s loyalty and love have always returned to the Seattle region, especially neighborhoods in need. In a time when high profile athletes are often shrouded in sensational headlines and not-so-flattering reflections of their character, we know that a great majority are doing positive things with their influence. Sadly, the good guys don’t make for great headline news, and Jamal Crawford is one of the best good guys you’ll ever encounter. Whether he’s spending his downtime in the local gym playing basketball with the common folk, sponsoring a back-to-school community BBQ and a summer basketball camp, or hosting his annual pro-am which is void of an entry fee, Jamal leads through service. And Jamal the family man gives just as much. A husband and proud father of three, Jamal gives to his team at home. Remember when you wrote in somebody’s high school yearbook, “Keep in touch, don’t ever change?” Well, Jamal has lived that motto. His greatest accomplishment as a professional has been the life mentorship he’s given to those from his alma mater and beyond. While argued deeply in circles that have a deep love of basketball about who the best player out of the Seattle region is, no matter your answer, Jamal’s name will be called and his influence on those who’ve come behind him is undeniable. In the summer of 2018 I was able to witness Jamal sit in a room full of 13-year-old young men and answer questions from the profound to the more day-to-day until what was supposed to be 30 minutes with some middle-schoolers turned into over an hour, accompanied with pictures, handshakes, and more questions. Reflecting on what one in that position “has” to do compared with what Jamal did made me think of another old adage: you know a person by how they spend their money and their time. Jamal Crawford is a man who has spent 20-plus years as a star, yet more importantly as a star that shines brightly over his hometown without ever losing the common touch. 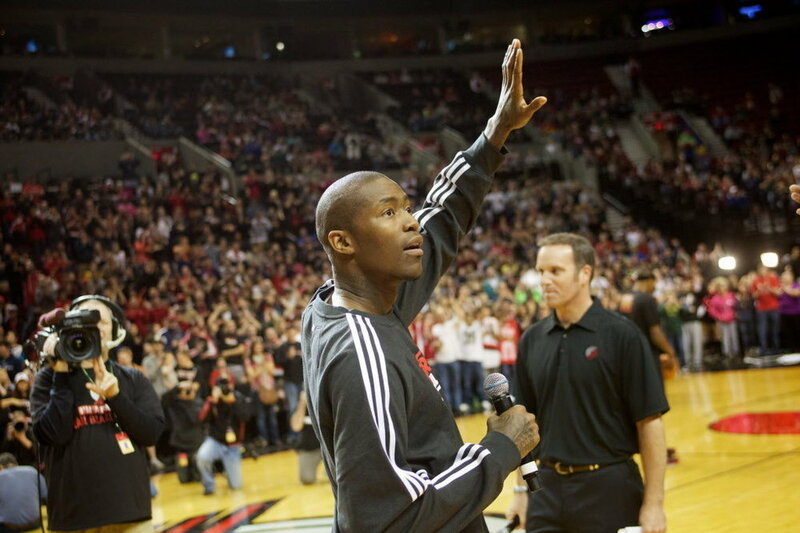 That touch has helped transform many lives, and that is why Jamal Crawford is Black History, today!